DJ Naoko's music selection is known as '100% Bailable!' as it's so irresistible and not able to sit. She is an expert of creating the right ambient for the moment and her hospitality spirit makes sure the experience is pleasurable. She connects and communicates with dancers through her music and let it develop naturally. She loves seeing happy faces on the floor and considers DJ as her dream job. Originally from Japan, she dived into the world of Tango soon after discovering beauty of Argentina and its warmest people. After visiting couple of times, she decided to spend more time in Buenos Aires to explore the world of Tango. Her love and passion for TANGO naturally led her to become a DJ. 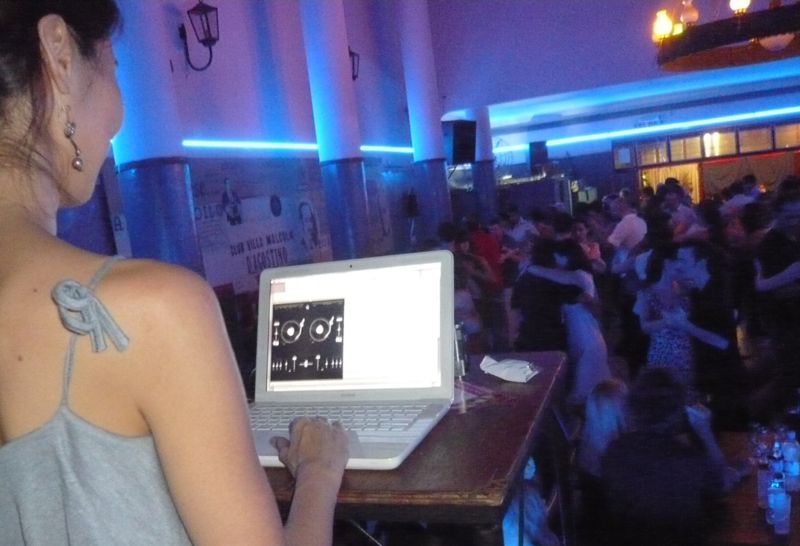 She held the sole resident DJ position at very popular practica/milonga TANGOCOOL! (in Club Villa Malcolm) for 4 years till its closure in 2013. She has been invited to DJ not only in Buenos Aires but also in the world. After living in Buenos Aires for 7 years she moved her base in Europe in 2014 and now based in Barcelona, Spain and continues to pursue her passion and actively DJing all over the world. Le selezioni di DJ Naoko sono 100% ballabili così irresistibili che diventa impossibile rimanere seduti. Esperta nel creare l'ambiente giusto in pista assicurando una esperienza piacevole. Attenta nella comunicazione con i ballerini che ama vederli sorridenti e felici. Ha sempre sognato di fare il lavoro di DJ. Originaria del Giappone, ha vissuto molti anni in Argentina dove ha costruito la sua esperienza. DJ resident della mitica milonga di Buenos Aires "Tangocool" Ora musicalizza in tutto il mondo nei più importanti incontri di tango. 2009 : Became the first foreigner to hold a resident DJ position in Buenos Aires. 2009 - 2014: Held sole resident DJ position at TANGOCOOL! (Villa Malcolm), one of the most popular places to dance in Buenos Aires. 2014: Moved her base in Europe. 2017: Currently resides in Barcelona, Spain and actively DJing all over the world.